The ground-breaking movie The Matrix opened 20 years ago on March 31st, 1999. In the movie, a hacker named Neo (Keanu Reeves) is contacted by a mysterious man named Morpheus (Lawrence Fishburne) who promises to show him the secret of "The Matrix". Many people think they know everything about the enigmatic character named Morpheus, but like the Matrix, you have to let go. You have to let it all go of fear, doubt, and disbelief. Free your mind to these facts. The filmmakers, the Wachowski, said they had trouble making the film because of many people they talked to didn't understand the film. 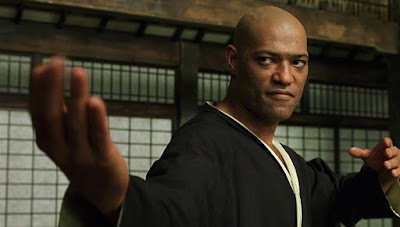 Laurence Fishburne said that after he read the script, he didn't understand why people said it was confusing. However, he doubted the movie would ever be made because it was "so smart". When Neo and Morpheus spar many audiences assume it takes place in the Matrix but it's not. All the scenes in the machine's simulation world are tinted green. 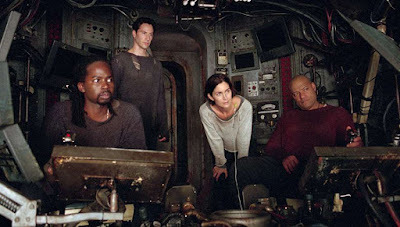 The Wachowski's chose this color to look like the audience is watching through a computer screen. All the scenes in the real world have a blue tint. Ironically blue is the least common color in the natural world. But the scene in the Dojo fight has a yellow color to it to show that it's neither in the Matrix or the real world. Morpheus says it's a "training program" known as "the Construct". In Greek mythology, Morpheus is the god of sleep and dreams. This is meant to be ironic since, in the movie, he actually wakes people from the dream created in the Matrix. Although he did promise Neo he would "wake up" in his bed thinking their conversation happened in a dream. Morpheus' ship, the Nebuchadnezzar, is a Biblical reference to King Nebuchadnezzar II of Babylon, from the biblical Book of Daniel. King Nebuchadnezzar served as king of Babylon from 605 BC to 562 BC and was the longest-reigning and most powerful monarch of the Neo-Babylonian Empire. He conquered Judah as described in the Bible's Books of Kings and the Book of Jeremiah. His capital, Babylon, is the largest archaeological site in the Middle East and was home to the "Hanging Gardens" of Babylon. In the Bible Book of Daniel, Nebuchadnezzar has a dream he can't remember. He said, “I have dreamed a dream, and my spirit was troubled to know the dream.” (Daniel 2:3). He's so disturbed by the dream he searches wise men for an answer. In The Matrix, Morpheus travels into the simulation looking for people to wake up from the dream-like world created by the machines. "I was at the bite fight between Evander and Tyson in Las Vegas and I see The Wachowski Brothers; they have their very introverted shy guys thing," he said. "Cut to we're working and doing a movie and at the end, they presented me with a gift of a beautiful rendering of Neo and Morpheus in the Dojo fighting with a couple of photographs. On the back Larry (Wachowski) wrote, 'I had a dream about a man who wore mirrored sunglasses and spoke in riddles and when I met you and heard your voice I knew that you were that guy.' So he had heard my voice in his head. So that's the deal." Fishburne said that he based his Morpheus voice on Walter Cronkite, the famous broadcast journalist and long-running as anchorman for the CBS Evening News. MCU actor Samuel L. Jackson was considered as Morpheus at one point, as well as British actor Gary Oldman. Will Smith later said he was offered the part of Neo but turned it down to appear in Wild, Wild West. He said the Wachowskis thought of pairing him with Val Kilmer as Morpheus. Russell Crowe turned down the role of Morpheus because it wasn't "interesting" to him. "I just didn't get it," he said. "I couldn't get past page 42. That world was just not interesting to me." Chow Yun-Fat, a Hong Kong actor best known for working with John Woo in action films, turned down the role of Morpheus as well. The directors hired comic book artists to storyboard the movie. The image of pills reflected in Morpheus’ glasses is straight out of the original concept art. Samuel L. Jackson played a Star Wars Jedi named Mace Windu in the prequels starting in Episode I - The Phantom Menace and he almost played Morpheus. 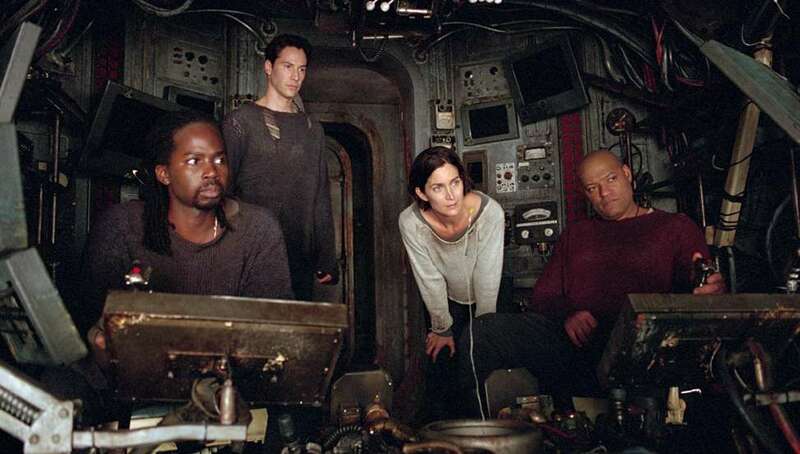 In the 2005 film When Maggie meets Samuel L. Jackson, she says he played Morpheus in The Matrix (1999). The actor corrects her by saying it was Laurence Fishburne. Laurence Fishburne says he felt his character is twice the Star Wars character Jackson is. "It’s like being Darth Vader and Obi-Wan Kenobi in one character," Fishburne said. Morpheus is both good and evil in some ways. Most of the sunglasses worn by the main cast are custom made for the film. 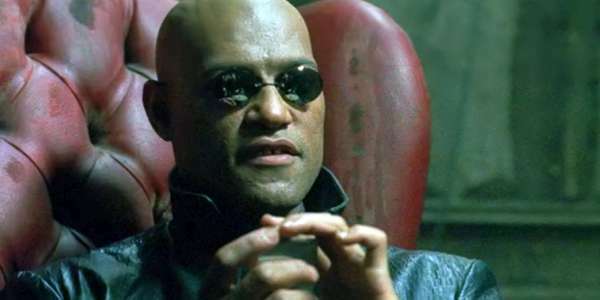 When the Wachowski's were developing the film they produced storyboards showing Morpheus wearing small sunglasses with the reflection of the pills in the lenses. These types of sunglasses, ones that pinched the nose and didn't wrap around the head didn't exist. The producers pushed for them to get glasses from the "Sunglass Hut" or a similar store. Costume designer Kym Barrett commissioned indie designer Richard Walker to hand-craft the sunglasses. Barrett produced the illustrations and Walker turned them into shades. To get the fit the actors had to go through arduous plaster head cast sessions. He then custom fit each pair. "We only had two or three pairs of each [per actor] because Richard could only work so fast and he hand made them all himself," Barrett says. Today Walker's Blinde Design sells the sunglasses. 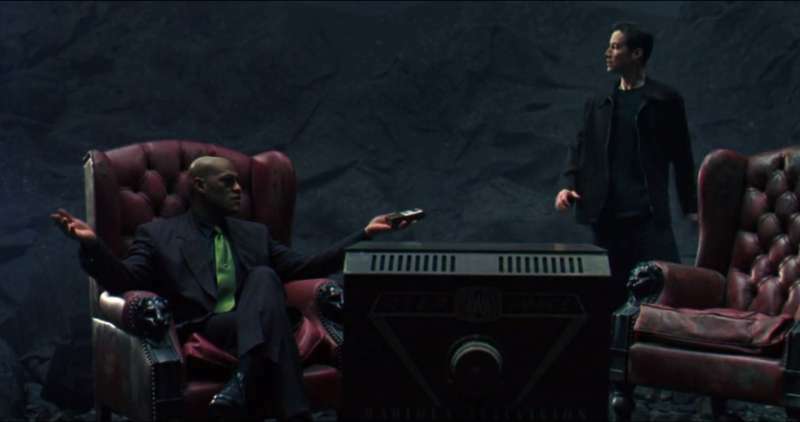 When Morpheus is explaining the reality of the Matrix to Neo, he uses the phrase "Welcome to the desert of the real." This is a paraphrase from French sociologist and philosopher Jean Baudrillard's "Simulacra and Simulation". The quote can be found in "Chapter One - The Precession of Simulacra". The original quote is "It is the real, and not the map, whose vestiges persist here and there in the deserts that are no longer those of the Empire, but ours. The desert of the real itself." 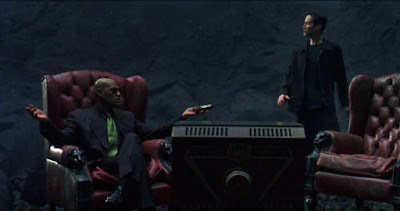 The book is one of many philosophy books the directors asked the cast to read and appears in the movie as a hollowed-out book where Neo keeps his illegal software. Official synopsis: "Set in the 22nd century, The Matrix tells of a computer hacker (Reeves) who joins a group of underground insurgents fighting the vast and powerful computers who now rule the earth. The computers are powered by human beings..."
Check back with the Geek Twins for more The Matrix movie news and hype! 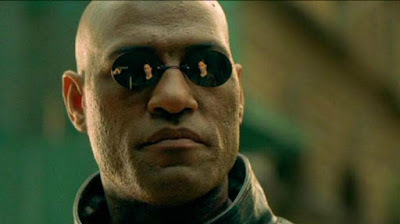 Did you learn anything new about Morpheus? Did We miss anything? Let us know in the comments below!